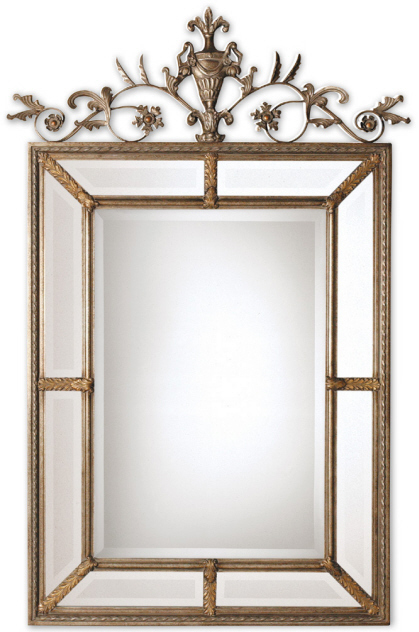 This frame features a generous 1 1/4" beveled mirror.The outer panels contain beveled mirrors between the inner and outer frames. A decorative metal cartouche adorns the frame's top. The silver leaf undercoat has a heavy gray wash with gold leaf highlights.